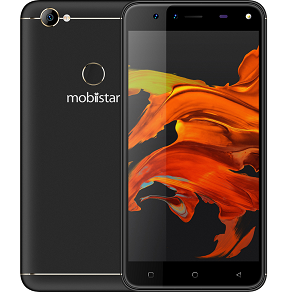 International smartphone brand Mobiistar, today announced its entry into India with the launch of Star Selfie series smartphones – Mobiistar XQ Dual and CQ. With its brand promise to ‘Enjoy More’ by bringing uncompromised user experience, Mobiistar shared its plans to expand the horizon of mobile technology adoption by offering a great selfie experience at an even greater value in India. The XQ Dual selfie smartphone will be available at INR 7,999/- and the CQ smartphone will be available at INR 4,999/-. To begin Mobiistar’s strategic entry into India, the brand also announced a long-term partnership with ecommerce platform Flipkart. Both Star Selfie series smartphones XQ Dual and CQ will be available on the Flipkart exclusively from 30th May 2018, 12PM onwards. Ayyappan Rajagopal, Senior Director, Mobiles, further added "Mobiistar's Selfie Star series has truly democratized selfies. Along with great performance, this unique offering from Mobiistar has taken the entire budget segment to the next level. This is in line with our overall Flipkart objective of ensuring great smartphones for every Indian." Available exclusively on Flipkart, the phones come in Gold and Black colours and with be up for grabs from 30th May 2018 on the ecommerce platform. The partnership with Flipkart is one of the major steps in a series of other strategic efforts by Mobiistar to deepen its commitment to the Indian market and consumers to further fuel the company’s growth and strengthen its position in the market. The International brand Mobiistar will be entering India with Star Selfie series - XQ Dual and CQ. The XQ Dual smartphone will empower users to capture those super fine selfies and group selfies. The XQ Dual is equipped with 13-megapixel and 8-megapixel dual selfie camera. The XQ dual has a specialized 120-degree wide-angle 8-megapixel camera which captures a wider view, this allows even more people to enter the frame and click those precious moments. The core of these cameras come from 13MP Samsung sensor and 8MP OmniVision sensor, which helps increase light exposure and clarity of images. The large f/2.0 aperture on the 13MP increases the amount of light entering the camera while the high dynamic range prevents noise and captures photos with vivid depth and detail. The XQ Dual is equipped with the star light feature which will give users the option to click selfies in low light as well. The star light feature further gives an enhanced low light selfie experience. The CQ smartphone on the other hand sports 13-megapixel selfie camera fine and 8-megapixel rear camera with autofocus and led flash. Equipped with a large f/2.0 aperture which increases the amount of light entering the camera. The CQ produces exceptionally clear and bright images that are best in segment. More details, contrast and color ranges are captured, to reveal a brighter, clearer and more vibrant selfie. Both the XQ and CQ are equipped with an indispensable feature that based on studying hundreds of facial scenarios. With multiple Beautify levels and upgraded photo-processing algorithms, the beauty filter is optimized to capture selfie photos that can brighten and soften the skin, enlarge eyes and enhance the v-line of the face. It has been carefully designed to highlight beauty, but never at the expense of looking unnatural. The display for CQ on the other hand is mapped from 5.0 - inches HD, with 2.75D curved glass. The XQ Dual comes with 3GB RAM and 32GB ROM, expandable storage up to 128GB and runs on Qualcomm Snapdragon 430 Octa-Core and the CQ smartphone comes with 2GB RAM and 16GB ROM, again expandable storage of up to 128 GB and runs on Qualcomm Snapdragon 425 Quad-Core processor with system speed boosted to clock 1.4 GHz, this makes the XQ Dual and CQ highly responsive, faster, smoother and steadier performer giving both products the same user experience. For user to get more value, Mobiistar has equipped CQ smartphone with non-hybrid sim slot and a dedicated slot for micro-SD card. This will allow users to run both SIM cards and micro-SD card simultaneously. The Mobiistar Selfie Series comes with some great offers from Flipkart making them truly affordable. There is a special guaranteed Rs. 1,000 product exchange offer on any smartphone for this series. This ensures that your get an assured Rs. 1,000 off by exchanging any old mobile handset for the new CQ or XQ. Additionally, The Mobiistar series comes with a Complete Mobile Protection- the most comprehensive and convenient cover your phone can get. Under the same warranty the device will be covered in cases of hardware or software issues, broken screen, liquid damage, repair & replacement and even doorstep pickup and drop. This will all come at a very special price of INR 99. Mobiistar has also partnered with Reliance Jio, a world-class all-IP 4G LTE network and the largest mobile data network in the world, to bring exciting offers like the ‘Jio Football Offer’ that entitles a cashback of Rs.2200 to all Jio customers (existing and new) by performing a recharge of Rs.198/Rs.299 Jio prepaid plan on or before 30th June, 2018. After 1st successful recharge of Rs.198/299 on an eligible device, 44 vouchers of Rs.50 each will be credited in MyJio app which can be redeemed, one at a time per recharge, against subsequent recharges of Rs.198/299, via MyJio App only. Mobiistar is committed to the Indian market and understands that after sales service is one of the foremost concerns for consumers in India. Keeping this in mind, Mobiistar is entering in India with 1000 service outlets already in place so as to ensure that the consumers have a seamless experience with the brand right from the start. 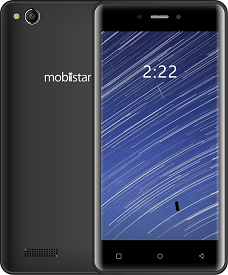 Mobiistar, a Vietnamese smartphone brand was co-founded by Mr. Carl Ngo in 2009 with a promise to make users ‘Enjoy More’ by bringing uncompromised user experience. Mobiistar established itself as a leading brand in Vietnam and recently expanded to South-east Asia and GCC countries. The mission of Mobiistar is to expand the horizons of mobile technology adoption by providing affordable and uncompromised user experience to consumers. Mobiistar plans to develop the smartphone segment in India by understanding the consumer need for a selfie smartphone and their desire to gain more enjoyment at great value. Mobiistar has invested efforts on mobile technology adoption and expanding selfie experience for India.